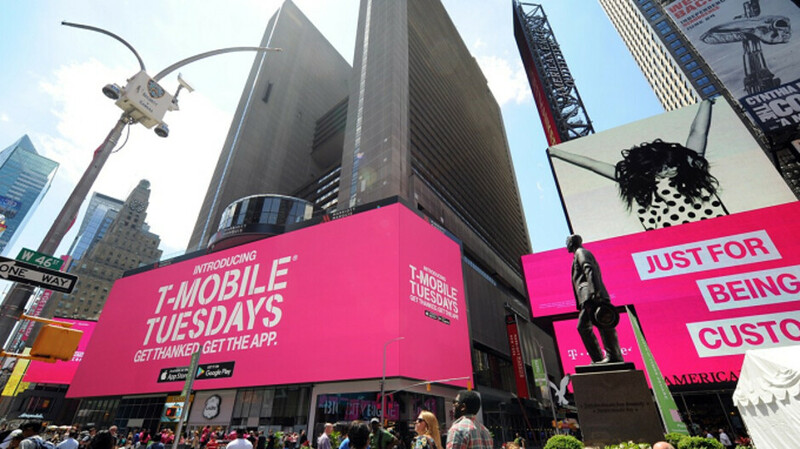 T-Mobile Tuesdays is the program used by the carrier since 2016 to thank its ever growing number of subscribers. Today, the nation's third largest wireless provider announced that last Tuesday saw a record number of customers snag the freebies and discounts that are part of the program every week; the previous record was topped by more than one million deals claimed. You also might recall that on Super Bowl Sunday, T-Mobile advertised that it would offer subscribers a free Taco from Taco Bell every week. This promotion helped the restaurant chain score its highest daily and hourly online sales ever. And the T-Mobile Tuesdays app, which is the hub of the program, hit #1 in the Apple App Store and Google Play Store Lifestyle categories. And now, T-Mobile customers are getting gas (not from the Tacos). Every week, T-Mobile and Shell will take 10 cents a gallon off the price of fuel at Shell (up to 20 gallons). And inside the T-Mobile Tuesdays app, subscribers are getting the opportunity to purchase stage-front tickets to Ariana Grande's sold out Sweetener U.S. tour. Tickets will be available for purchase 30 days prior to each show starting Tuesday, February 19. To snag these ducats, open the T-Mobile Tuesdays app, and click on the singer's photo to be directed to the Live Nation site so the tickets can be purchased. Since the program started two years ago, T-Mobile says that it has distributed "over 205 million fun freebies and deals." Industry analysts have calculated that this works out to $996 in freebies and discounts offered to each T-Mobile ONE customer every year. I know many people complain about diarreah and stomach problems after eating Taco Bell they probably have weak stomachs because me I could eat Taco Bell and my stomach can handle it I don't have any problems any diarrhea or anything. Maybe it's because I grew up in the ghetto so I grew up around this type of food before and my stomach got used to it . Sure right now I don't eat that stuff anymore but I'm not gonna lie maybe oooooonce in a while Ill have a Chalupa or something but that's about it. Because honestly it aint that bad. And like i said its once in a blue moon.. I appreciate all the freebies they give, but honestly I don't use 95% of what they offer. But the MLBtv subscription is easily their best gift of the year.